Before you get a job offer, chances are your prospective employer will probe into your past. To help calm your nerves about background checks, we compared some common fears against the facts. What can an employer find out in your background check? Finding a job is not a cakewalk—it takes time. You searched for a job you love on Monster, applied, went through rounds of interviews, and finally, you got an offer—kudos! But before you can start your new job, you have to cross one more hurdle: the background check. A whopping 98% of businesses perform background checks on job candidates, according to a recent survey by Endera, a risk-alert firm. This is what you need to know they’re finding out about you. Employers conduct background checks (also called background screenings and pre-employment screenings) either internally, or they hire background check companies, to ensure you’re a top-quality candidate. Depending on an employer’s criteria, a background check may investigate a candidate’s criminal records, education, employment history, credit history, motor vehicle and license records, and/or civil records. The process may sound intense, but the government offers some protections in terms of what type of information employers can look at during a background check. There are a couple big caveats though, says Paul Stephens, director of policy and advocacy at consumer advocacy group Privacy Rights Clearinghouse. The law only applies to background checks performed by an outside company; in other words, companies are exempt from FCRA’s standards if they conduct background checks in-house. The restrictions also don’t apply to jobs with an annual salary of $75,000 or more. Setting aside the FCRA restrictions, you probably still have concerns about what an employer can discover about your past. Worry not. Monster spoke to experts to address some common fears job seekers have about background checks. Fear #1: Will my speeding ticket show up on a background check? Fact: Employers can, indeed, see your driving records when performing a background check. But having a few speeding tickets or car accidents shouldn’t hurt your job candidacy—unless the job actually requires driving. Consequently, “driving records are seldom problematic,” says Jeff Shane, president at Allison & Taylor, a professional background-screening firm based in Rochester, Michigan. There are some exceptions. “There’s a difference between a small driving infraction, like a speeding ticket, and a DUI,” says Philadelphia career coach Rita Friedman. 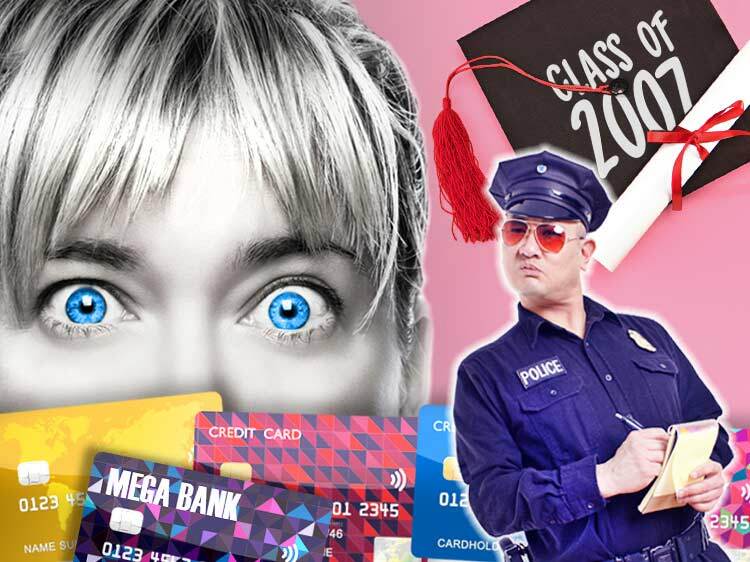 Fear #2: Does a background check include a credit check? Fact: While it’s illegal in some states for employers to view a job applicant’s credit history, companies are generally allowed to see a candidate’s credit report before extending a job offer. However, your credit history most likely won’t impact whether you’ll be hired. “Unless you’re applying for a financial position, where you’ll have access to the business’s financial instruments, like a company credit card, your credit won’t really matter to an employer,” says Shane. Fear #3: Will a workers’ comp claim show up? Fact: Workers’ compensation records are public records in some states. However, employers can’t actually check on someone’s workers’ compensation history until after the company has made the person a job offer, says Shane. Even then, most companies won’t pull that information. Why? “The Americans with Disabilities Act has specific protections for job applicants that make most employers fearful to even run a workers’ compensation check,” says Dawn Standerwick, chair of the board of directors at the National Association of Professional Background Screeners. Fear #4: Is my criminal record included in a background check? Fact: This is certainly a valid concern, since 84% of employers conduct criminal background checks or other public record searches on job candidates, according to HireRight.com’s 2017 Annual Employment Screening Benchmark Survey. Nonetheless, “every employer is unique and every business creates its own policy for evaluating criminal records,” says Standerwick. Fear #5: Can background checks show political affiliation? Fact: The political climate is tense right now—and that energy can certainly spill into the workplace, resulting in potentially stressful encounters with your boss or co-workers. However, as a job seeker, you can rest assured that your political affiliation will not show up in a background check, says Shane. If you suspect there’s something in your past that really could hurt your chances for employment, consider hiring a reference-checking company to do a background check on you before you apply for a job; that way, you can learn what information employers might find during a background check. And if you learn that there is, in fact, a black mark on your background check, Friedman says the best course of action is to address the issue in advance (read: before the employer runs a background check). In most cases, employers must obtain the applicant's written authorization before the background check, so take this opportunity to bring up anything that may raise eyebrows during the checking process. There's no such thing as a perfect employee, and companies know this. Don't let a less-than-ideal track record discourage you. Still concerned your past might jeopardize your future and are not sure what to do? Start by joining Monster today. As a member, you'll get career advice and job search tips sent directly to you to help you become a strong, promising candidate—no matter what industry you're in. From resume writing to interviewing to getting promoted, Monster has useful insights for every step of your career.